We show you stylish ways to wear winter capes, which provide elegance, comfort and sophistication, offering to the user, wellness, convenience and distinction, making it the perfect cover for all occasions. 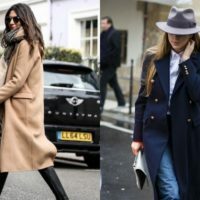 Winter coats are a safe investment, symbol of modernity, are amongst the most iconic and old pieces of a wardrobe, being used literally on everything, sailing on a endless sea of choices and possibilities. 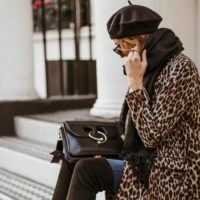 Tips to wear animal print on clothes and accessories, one of the strongest trends this winter 2018, assuming this season, new prints, colors and patterns. But in my opinion, the classical is the leopard print. How to wear party dresses, that please all women and when well chosen, adapt to all body tpyes and are the ideal key players for festive occasions of the season. Being the Christmas dinner with work colleagues, the more formal work’s dinner, Christmas or New Year’s Eve party. We show you cool ways to wear rain boots for winter 2016, to keep feet warm and dry in this cold and rainy winter season. Quilted Jackets and Padded Coats are one of the big Fall Winter fashion trends, warming you in the cooler and rainy days, since they are super versatile pieces, practical and comfortable, protecting from rain and cold. The casual style is a way that allows you to feel more comfortable without losing the elegance, making you more modern and youthful, this Fall Winter 2015-2016. This fall winter, we show you how to wear A-Line skirt, cut by the bias of the fabric and giving a feeling of spaciousness. A model that despite not having the simplest cut in the world, is super versatile and fits well on many body types. Know how to wear boots and booties, indispensable this Fall Winter 2015-2016 season, being that all lengths are allowed.